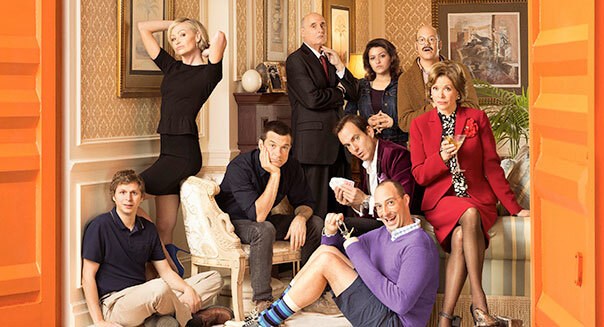 Netflix, F. Scott Schafer, NetflixThe cast of "Arrested Development." Companies can make brilliant moves, but there are also times when things don't work out quite as planned. From the leading streaming video provider getting promoted to a popular market index to a profitless solar energy company being bid up ahead of a disappointing quarterly report, here's a rundown of the week's best and worst in the business world. Netflix may have started out the week receiving mixed reviews for its "Arrested Development" revival, but it wrapped things up with a different form of respect. NASDAQ announced on Thursday night that Netflix would be added the NASDAQ-100 index that tracks 100 of the most prolific stocks on the exchange. The market gauge may not be as high-profile as the Dow 30 or the S&P 500, but this is a significant win for the reinvigorated dot-com darling. Shares of Netflix were actually booted from the NASDAQ-100 just five months ago, but the stock has gone on to become one of the market's biggest gainers in that time. As bad as things have gone for Nokia, at least it always had Finland. Well, the Finnish company has now lost its spot as the top smartphone seller in its home country. Trend tracker IDC reported this week that South Korea's Samsung overtook Nokia during the first quarter. Nokia is starting to bounce back on the strength of its Windows-powered Lumia phone line, but apparently even the folks in Finland can't resist that calling of Samsung with its Android-powered phones. Tesla's Model S sedans are cool, but they're certainly not cheap. However, relief may be coming for mainstream drivers hoping to bypass the gas pump with a trendy electric car. CEO Elon Musk said this week that Tesla may roll out a cheaper sedan in three to four years that will cost roughly half as much as the $70,000 Model S.
That's not the only cool thing that Tesla had shared this week. The maker of electric cars announced on Wednesday that it will be tripling the size of its Supercharger network, the charging stations that allow Model S owners to recharge their cars relatively fast, and for free. Musk's goal is to take his family from Los Angeles to New York City in a Tesla relying entirely on Supercharger stations. That reality may now be mere months away. Shares of Trina Solar popped 10 percent on Tuesday, ahead of its earnings report on Wednesday morning. Why would shares of the Chinese solar products maker move higher before earnings? The company is losing money -- a lot of money -- and it had actually posted larger deficits than Wall Street was expecting in each of the previous four quarters. What happened on Wednesday? Well, the company posted a wider than expected loss and, predictably, the stock fell 11 percent. Investors need to respect these trends. They're not always perfect indicators, but if a company disappoints for four consecutive quarters the smart money has to be on that streak stretching to five. Groupon is getting some more skin in the credit card processing game. The company is joining American Express (AXP) in investing in SumUp, a fast-growing European company that allows merchants to take debit and credit card payments from their smartphones. Yes, that's become a crowded market in the U.S. It seems as if everybody has a Square knockoff these days. However, Groupon's in a unique position. It has working relationships with tens of thousands of local merchants, and its thick Rolodex can be put to good use in promoting other merchant services -- it has already moved to offer cheaper credit card processing than traditional providers. Groupon's flagship model of providing daily deals may have run into some resistance, but it's now cashing in on its valuable merchant relationships. Motley Fool contributor Rick Munarriz owns shares of Netflix. The Motley Fool recommends American Express, Netflix, and Tesla Motors. The Motley Fool owns shares of Netflix and Tesla Motors . Try any of our newsletter services free for 30 days.